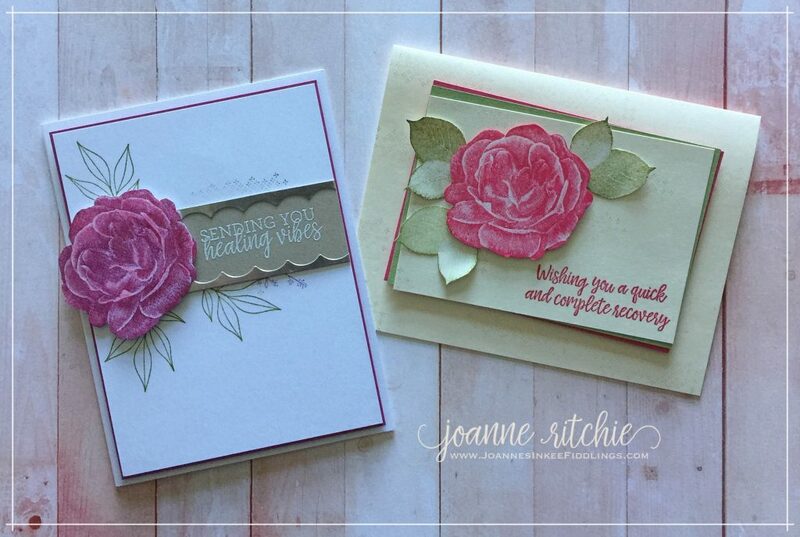 After the beautiful Heartfelt Blooms Sale-a-Bration Stamp, I was very eager to get another of the new distinktive stamps and the Healing Hugs Stamp Set hasn’t disappointed. It’s simply glorious! 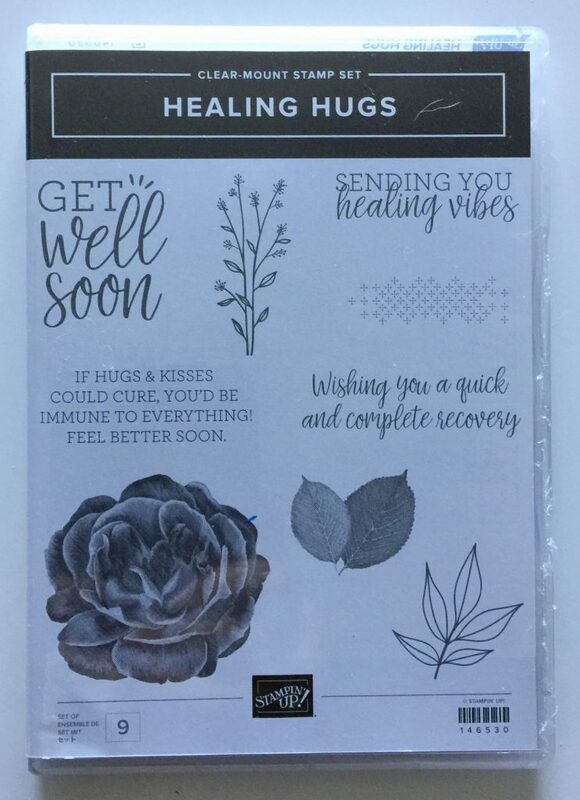 The Healing Hugs Stamp Set is found on page 110 of the 2018-2019 Annual Catalog and as you can see, I’ve once again drawn my inspiration for my cards from the catalog. And shock horror, I FINALLY have a NEW stamp set on my shelf as evidenced by the new black and white packaging. It’s rather cool isn’t it? « 2018 Holiday Catalog DSP Taster!